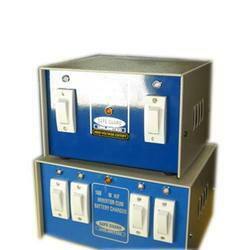 Pioneers in the industry, we offer high frequency inverters from India. We are engaged in the field of manufacturing and supplying the best quality High Frequency Inverters. These are available in a wide range of watt inputs. These inverters are widely used for lighting purposes, majorly to support florescent tubes and CFLs. These inverters are widely known for their energy efficiency and long duration power back up.